Creekside Country Resort is a family owned and operated business which consists of seven cabins and a creekview cottage. Our cabins accommodate small and large groups or families and we host great lunch and dinner options at the Dairy Twist right here on our property. Here at the resort we have a lot of outdoor activities for you to choose from such as basketball, volleyball, two sing sets, slides and play centers. We also feature the Family Fun Zone which has 9-hole mini golf, 8-acre meadow with breathtaking views, teeter-go-round, tetherball, horseshoes, giant sand box, play center, outdoor foosball, and much, much more. A beautiful mountain stream winds through our beautiful eight-acre property at the base of a granite cliff surrounded by breathtaking views and a serene setting. I was born and raised in Wall, SD where the famous Wall Drug and the Badlands are. My parents owned lodging businesses also, so I grew up in the tourist trade and loved it. After I finished High School in 1972 I got a job managing a lodging facility in a nearby town. I liked it and spent most of the next few years working in or managing lodging businesses. I had 3 children, (the best thing I ever did in my life), and in 1987 I had an opportunity to buy a small place of my own and I liked that even better. I married a man that liked the challenge of fixing, building and tinkering so we made a great team. In 1994 we moved to Hill City in the middle of the Beautiful Black Hills to find a property to buy right in the very place we all visited as children. It was a dream come true, we bought a property and one good thing led to another good thing and in 2003 we bought this property that we love and want to share with you. 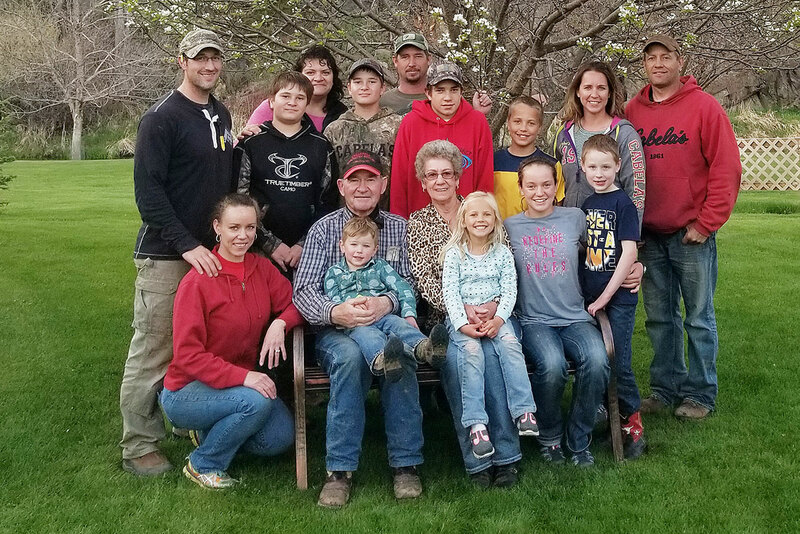 We have lived in Hill City for 24 years now and wouldn’t change anything including our beautiful family, we have 8 wonderful grandchildren and all of them live within 7 miles from us and their parents are now all in the lodging business also. We could not be more proud!